Where I grew up, my parents house had a pretty big back yard and directly behind it was miles and miles of pasture land. The view from our back door was vast and particularly amazing when there was a lightning storm off in the distance. You could watch it and feel safe inside. As the storms moved closer, you’d feel the thunder rumble while the lightning would illuminate the entire sky behind thick, dark clouds. 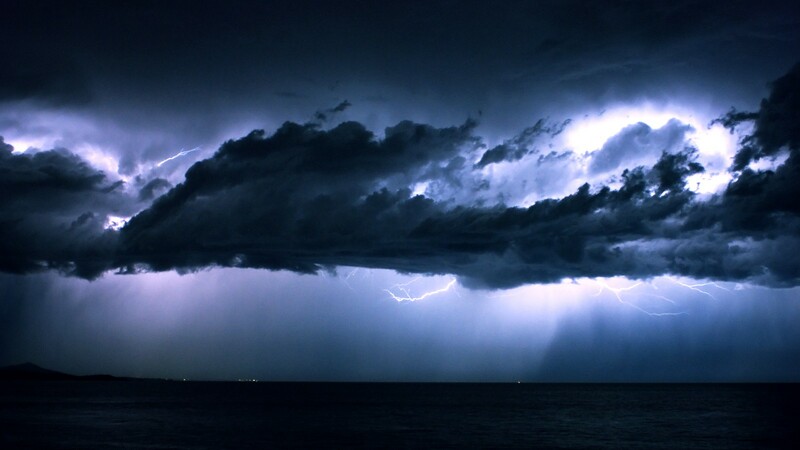 I remember quite distinctly watching one of the most incredible lightning storms ever while in the background played a mix tape I’d just gotten from a boy I liked. Every time I hear Kiss Me by TinTin, I remember feeling as electric inside as that storm looked.